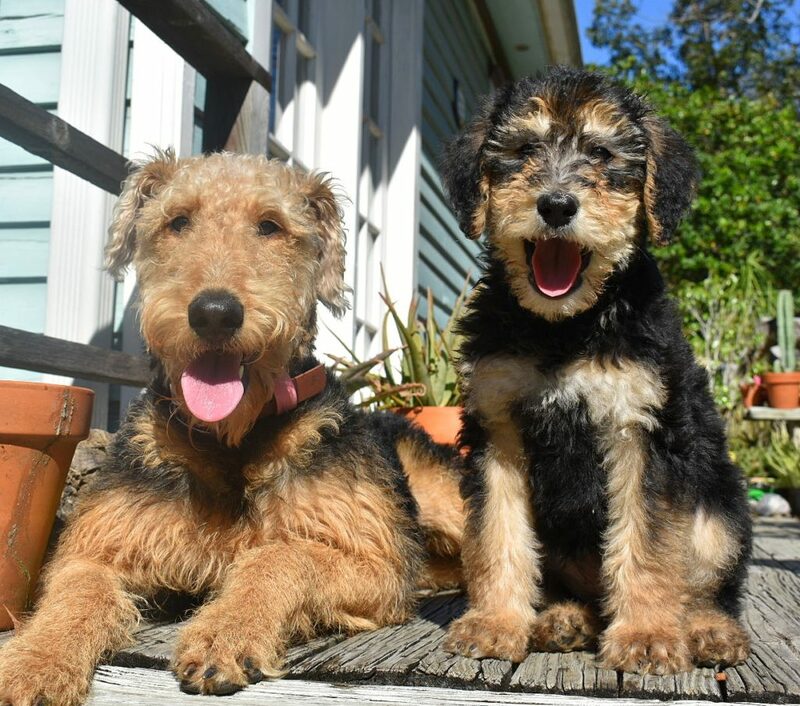 The Airedoodle is a cross between an Airedale Terrier and a Standard Poodle. It is a unique twist on the popular Goldendoodle. In this hybrid both breeds are non-shedding so the Airedoodle is proven to be an excellent choice for allergy sufferers. Another bonus is the health record of the Airedale Terrier. They are among the healthiest of the purebreds. 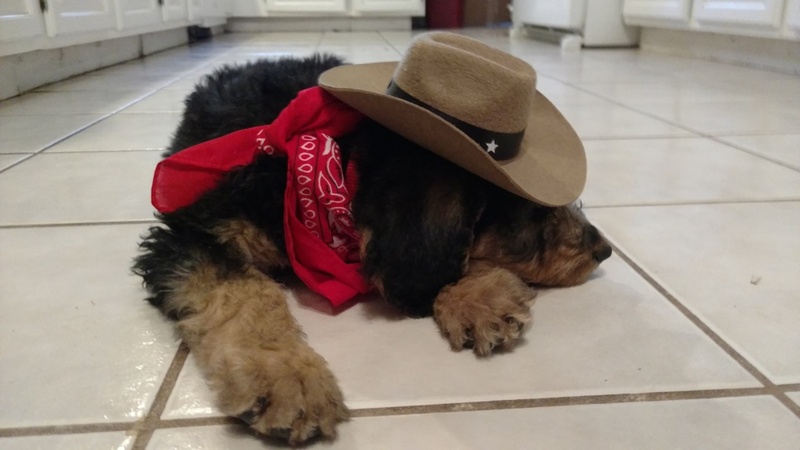 The Airedoodle hybrid combines the strong, loyal, sometimes clownish Airedale with the graceful, athletic, people-pleasing poodle to create an easily trained, awesome pup. Starbuck x Jameson (BORN! February 28th) All sold. Click here for more pictures of our dogs or contact us here. Tango (left) out of Starbuck x Jameson. Cali (right) out of Soda x Jameson. Both live with Gregory and Sarah in Texas. Cali is still very young and the black in her face has not turned tan yet.